Correct soil fertility is critical for optimal plant growth. There are 16 nutrients required by plants, 13 of these nutrients are obtained from the soil. There are five nutrients N, P, K, S and Mg (pumice soils) that are added to soils in fertilisers. The remaining nutrients are abundant on most New Zealand Soils. For more information see the Farmfacts covering Plant nutrition and Determining Nutrient Requirements. Trial showing half a paddock with nutrient limiting. Capital fertiliser inputs can be much greater than the maintenance input, especially if a rapid increase in the soil nutrient status is required. See the Critical nutrient levels for pasture Farmfact for more information. A robust soil fertility-monitoring programme in the best way to monitor nutrients in topsoil of any farm. Fertiliser costs are a major investment and needs to be monitored. Even in the maintenance stage, more precise rates can be calculated from establishing trends in soil test levels over time through the use of annual soil testing. For more information see the Soil Testing Farmfact. Pasture testing is a back up to soil testing. While soil testing determines available soil nutrient status, pasture analysis should be used to assess how much nutrient has been taken up from a fertiliser application and check trace element status. Excessively high concentrations of K, Mo and Mn. Clovers have a higher requirement of all nutrients compared to grasses; they are a sensitive indicator of underlying soil fertility. For more information on the reasons to test see the Critical nutrient levels for pasture Farmfact. For information on sampling techniques see the Pasture testing Farmfact. Nitrogen (N) fertiliser can be used to overcome seasonal pasture deficits by increasing pasture supply. Similar to any purchased input, N requires careful use to optimise economic return. 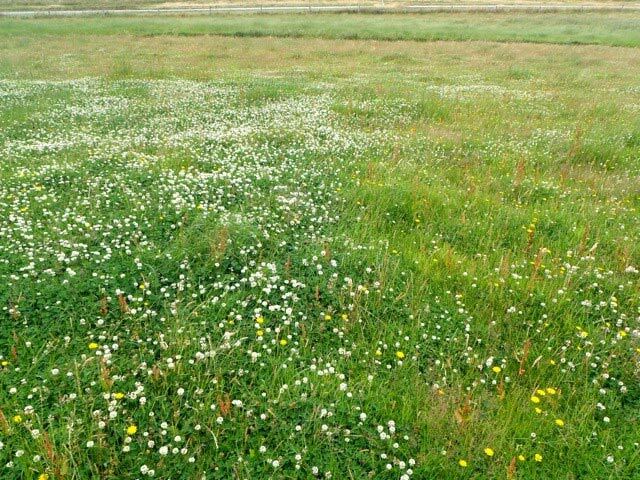 Use appropriate applications rates and apply to pasture with some regrowth e.g. 1600-1800kg DM/ha or better. At a response rate of 10 kg DM/kg N, applying 30 kg N will grow an additional 300 kg DM of pasture. Calculate this for your situation. How does this compare to other available feed sources? For more information see the Nitrogen Fertiliser Farmfact. The amount of additional pasture grown in response to the application of N is influenced by climate, with a low response from cold temperatures, waterlogged soils, and dry conditions. 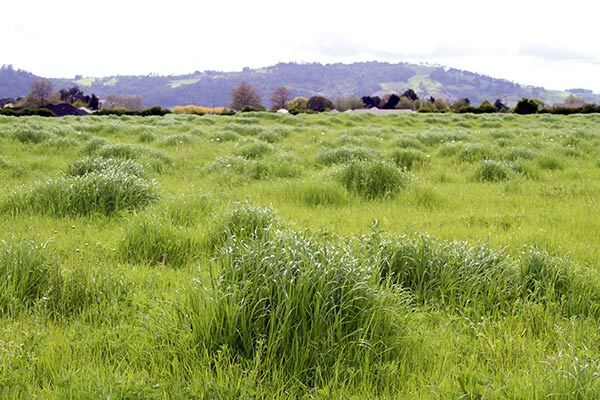 The largest and most reliable response to N is when the growth rate of pasture is greatest i.e., in mid-late spring in most regions. Typical pasture growth response rates during early spring range from 10 to 15 kg DM/kg N applied. Autumn responses are generally smaller and less reliable than those in spring, while winter responses are lowest and the risk of direct loss of fertiliser N by leaching is greatest. Mid-to-late summer applications of N fertiliser are not recommended where low soil moisture limits growth. However good responses can occur on irrigated farms or regions which have reliable summer rainfall. For more information see our Farmfacts on Seasonal Nitrogen Use, Nitrogen Use Going Into Summer, and Nitrogen Use After a Dry Summer. Liming is carried out to mainly overcome aluminium toxicity and increase molybdenum and phosphorus availability. On pasture, liming generally encourages more productive pasture species (legumes and ryegrasses) at the expense of low fertility species. For lime requirements see the Lime and Soil Acidity Farmfact. Phorphorus is a key nutrient for the successful growth of pasture and crops. Soil phosphate (P) moves slowly through soils, reducing opportunity for leaching losses. In a maintenance situation P can be applied at any time of the year but applying soluble P fertilisers outside the high risk months of April to October will reduce the risk of P runoff. If the soil test levels are low and an immediate increase in production is required, the sooner P is applied the sooner there will be benefits. Application rates of greater than 100 kg P/ha (1100 kg superphosphate/ha) in a single application are not recommended. If capital inputs higher than this rate are required, then the dressing should be split. Animals should not graze pastures where phosphate fertiliser has been applied until at least 25mm of rain has fallen. This is especially true where capital rates of P have been applied. For more information see the Phosphorus Fertiliser Farmfact. Clover has a higher requirement for all nutrients including sulphur, relative to the grasses. Thus, if a soil is S deficient the clover vigor and abundance will be poor. For pastures the normal distinction between capital S and maintenance S inputs does not apply. This is because the amounts of S to eliminate the most severe S deficiency are similar to the amounts required to maintain soil S levels. Elemental S is not immediately available to the plant (nor prone to leaching) as must first be oxidised by soil microorganisms to sulphate-S before it is plant available. For more information see the Sulphur Fertiliser Farmfact. Potassium fertilisers are often referred to as ‘potash fertilisers’, a name originally given to an early form of potassium fertiliser produced by extracting a pot of wood ashes (pot ash). However, potassium is now mined from abundant mineral deposits. Potassium is removed and lost through animal excretion in dairy sheds and farm tracks. Potassium can be easily leached especially under heavy rainfall. Potassium fertilisers are generally applied in low rates to pasture and the percentage lost by leaching is small. Potassium fertilisers applied to crops usually remains in the root system during the growing season. Before and during calving, avoid applying K as it can worsen cow metabolic problems. After calving, apply K when clover growth is increasing. For more information see the Potassium Fertiliser Farmfact.